Our son, Pookie, is obsessed with textures. He loves the sensory input he received from them. One of his favorite places to go is the carpet isle of Lowes. He rubs his hands across the variety of swatches. With that in mind, I dug out an old crochet booklet that I have had for several years. I apologize for the lighting, took the picture by oil lamp light. 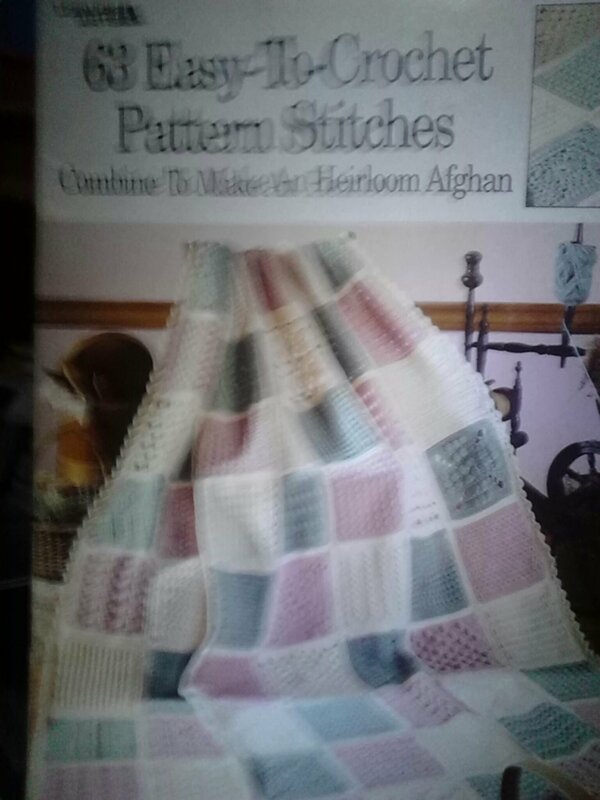 The book is called, ” 63 Easy-to-Crochet Pattern Stitches, Combine to Make an Heirloom Afghan” by Leisure Arts. I am going to use the idea of a stitch sampler to crochet Pookie a textured afghan. By using a variety of stitches and yarns, I will be able to make him a blanket that will not only keep him warm but provide sensory input that he craves. I may make a smaller one as well for when he is in the car seat or we are away on an outing.